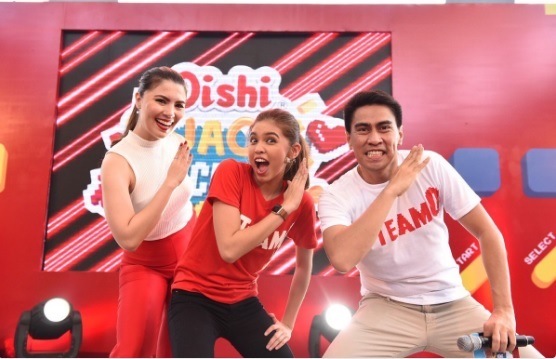 Dubsmash Queen and phenomenal Kalyeserye star Maine Mendoza is the latest endorser of Oishi Snacks, joining other Team O members including Daniel Padilla, Kathryn Bernardo,and Alex Gonzaga, among others. 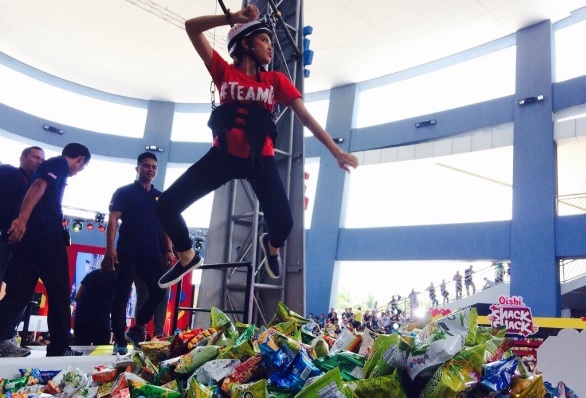 Maine graced the last day of the Oishi Snacktacular event at SM Mall of Asia, which ran from July 15 to July 17. She went along with some of her closest friends and enjoyed the games at different booths scattered throughout SM MOA Music Hall. 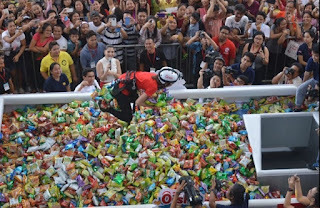 Thousands of screaming fans welcomed Maine and rooted for her while she played two of the most popular games at Oishi Snacktacular: the Snack Catcher,and Snack Shack. At the Snack Shack, Maine was given the 2 ft. Oishi mini giant pack and had 1 minute to fill the pack. At the end of the game, her pack weighed more than 1.4 kilos. 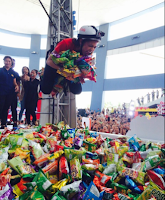 Meanwhile, Maine was probably the wackiest player at the Snack Catcher. Just before her harness was brought down to the pool of Oishi snacks, she did a lot of Kung Fu poses, which earned a lot of laughter from the crowd. When she dove into the pool of Oishi snacks, she got a total of 98 pieces of snacks. She enjoyed it so much and asked for a second try, this time getting another 102 snacks, for a total of 200 pieces of snacks. 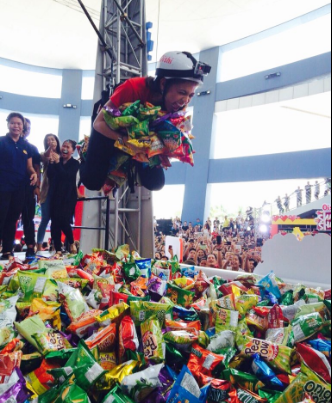 Later on, she gave away some of those snacks, visibly enjoying showering the crowd with her loot.